If you’re planning a visit to the great English capital and want to find the best places for a little flutter then these are three of the best casinos around. London boasts 15 different casinos, all with bustling crowds, luxurious interiors and a huge variety of different rooms, games and events. 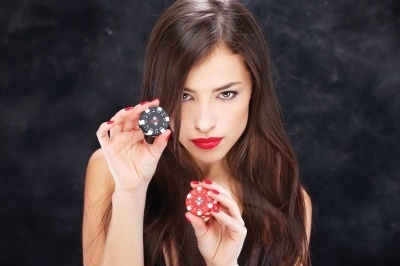 Even though online casinos such as MoneyGaming.com are more accessible and affordable than ever, they will never rival the experience of a real night on the town. So put your phone down, slip on your smart shoes and place your bets at these fantastic venues. Open 24 hours a day, 7 days a week the Casino at the Empire brings Las Vegas to London’s West End. Spread across three levels and 55,000 feet, the Leicester Square venue is the busiest casino in the whole of the UK. Visitors can try their hand in the poker room, play blackjack, roulette or punto banco and take a spin on the slot machines. The New Icon Balcony Bar offers delicious dessert cocktails and stunning views over the Square, and is well worth a visit from gamblers and non-gamblers alike. The Casino has also been praised as one of the best places to watch live sport in the city, thanks in no small part to the many large TV screens. The Sportsman Casino is just a stone’s throw away from Oxford Street and is open from 12 noon to 6am every day. The balance between classic interior design and state of the art gaming technology makes this an attractive stop for all gambling fans. Games available include poker, three card poker, blackjack, American roulette and punto banco. Whilst at the Sportsman Casino, visitors should enjoy a taste of regional European and Middle Eastern inspired cuisine at the award winning Zaman Restaurant. Dine in style in a relaxed, adult-only environment and enjoy an extensive wine menu from the stunning bar until the early hours. To make a reservation, call 0203 642 8531. Voted the Casino of the Year 2013 by the Totally Gaming Awards, the Hippodrome Casino is a stunning iconic building set in the West End of London. With world glass gaming set across three floors, players won’t be disappointed with the 18 roulette tables, 20 card tables, 5 baccarat tables, 20 slot machines, 5 tombola roulette machines and 51 game terminals on offer. The Hippodrome is also one of the hottest poker spots, with a 24/7 dedicated PokerStars branded lounge. In addition to the ambient Heliot restaurant and six bars offering visitors a tasty tipple, the Hippodrome hosts a wide selection of live entertainment as well as music and cabaret acts. The Heliot lounge is also a hub for sporting events, allowing fans to watch the action in comfort and style. You simply have the amount that you want to deposit added to the top of your mobile phone pay by phone casinos. For example, if your mobile phone bill is typically £30, and you make a £20 deposit your phone bill at the end of the month will be £50. Your bill will go back to £30 the following month if you do not make another deposit. In order to win, simply fall into line five from the goldmine symbols online casino osterreich symbols. When it comes to foundation activity feasible, you can entry a high payment associated with twenty-five 100 coins. This is nothing to sneezing through; therefore foundation action also provides plenty of choices! Basically, the sport offers a massive goldmine which is intensifying, in addition to foundation action that is awesome https://online-casino-osterreich.at/! To win, just line up 5 of the jackpot symbols Online Casino Österreich. In terms of base game potential, you'll be able to access a top payout of twenty-five hundred coins. This is nothing to sneeze at, so base game play also offers a lot of possibilities! Basically, the game offers a whopping jackpot which is progressive, as well as base game play which is awesome https://online-casino-osterreich.at/!! !